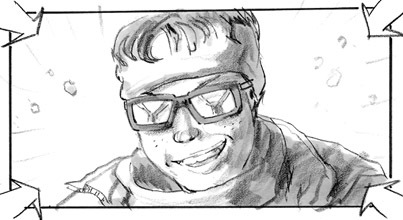 I’m a storyboard artist and motion picture production illustrator living and working in the Los Angeles / Hollywood area, specializing in traditional hand-drawn storyboards for live-action and animated feature films as well as After Effects and CG animatics for pre-visualization and post production visual effects (VFX). I also draw and sketch a lot and upload it to the Sketchblog here and social media – just for fun! Images and text copyright Anthony Zierhut unless otherwise indicated.